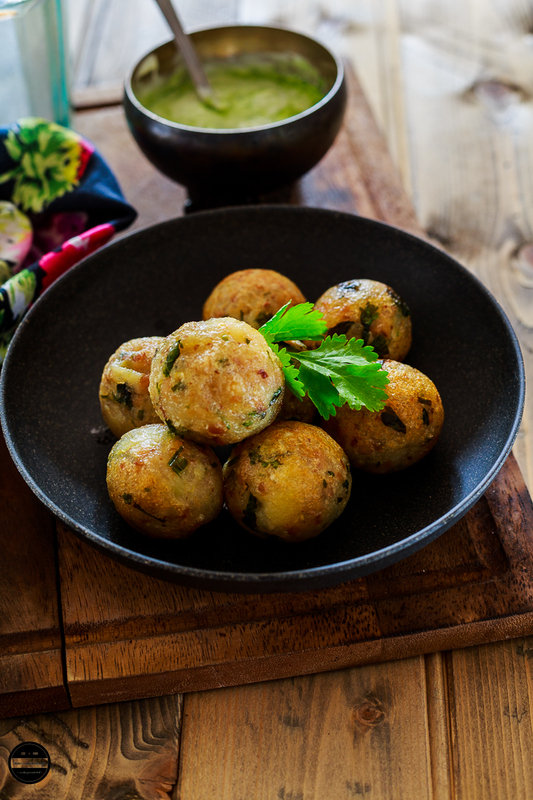 Moriyo Vada, are low-fat, crispy and delicious fritters made with barnyard millet aka Samo or Vrat ke chawal and cooked with very little oil. 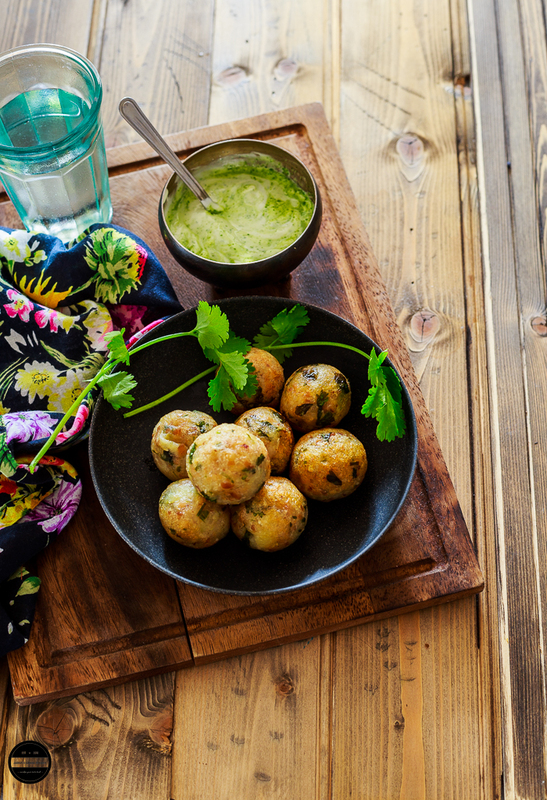 Although these vadas are made with farali ingredients and consumed during fasting season, one can enjoy any time of the year without observing fast too! 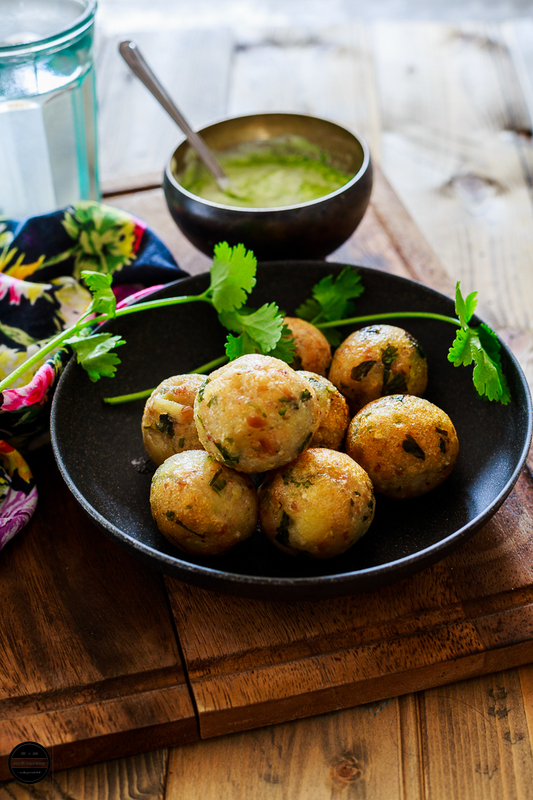 Since my childhood, I have consumed these vadas so many times, the only difference I have in today's recipe that these vadas are not deep fried. This recipe is my mum's, and always they were deep fried. In those days you either have fried food, or you just don't eat fried food. There was no shortcut to prepare... she only made these vada twice a year, On Mahashivratri and on Gokul Asthmi. Mum hated wasting any food, as long as I remember I have never seen throwing any food away. There were many rules that not even a grain of rice went to waste. If there was any food left, she would always give that food a second chance and pair it with something else. On fasting days mum always cooked elaborate meals for all of us, most of the time there was the same menu and it consists of Rajgira Panchratna Siro, Aloo Singdana bhaji, Buckwheat Poori, Farali kadhi and Moriyo Suran Khichdi. Even writing these names is making my mouth water. But kids being kids we used to attack the Siro, puri and bhaji. Once it was the kadhi's and Moriyo ni khichdi's turn, suddenly we were all full up! So we always ended up having more moriyo and she would prepare Moriyo na vada for the evening dinner. I have made these vadas couple of time by now and that too deep fried. This time made with less oil, they turned out exceptionally well, and vanished in thin air in no time. So here I am with low fat Moriyo na vada, do try if you've already had a few days of already heavy and fried food and are fed up of it! Because there is no joke to eat fried and rich food continuously for 9 days. Moriyo Vada, low-fat but super delicious farali dish prepared with Barnyard Millet, various farali flours and spices and cooked with less oil in a panniyaram pan. But one can deep fry too. 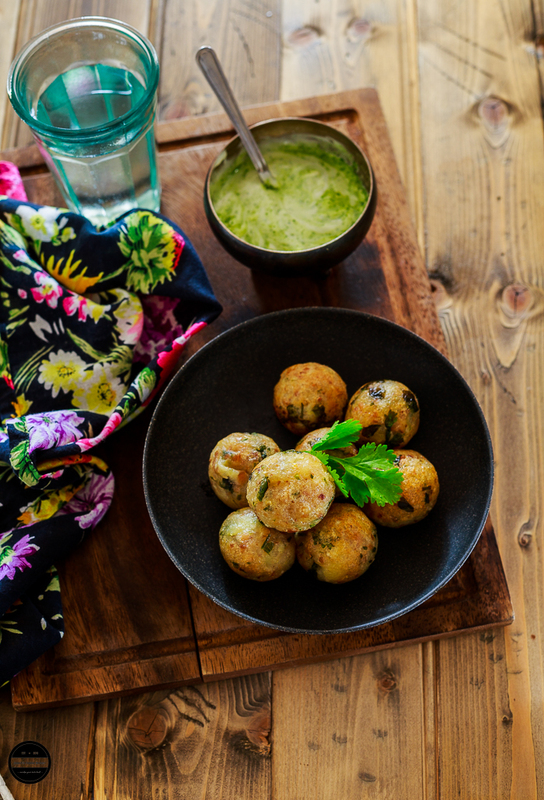 In a big bowl place everything except oil.Combine well and make a soft dough.Divide the dough into equal parts and shape into small balls.Heat panniyaram pan, add few drops of oil in every hole.Put each ball in every hole and let it cook in a medium heat for at least 2-3 minutes. Then turn on the other side and let it cook until crispy and brown.Serve hot with dahi chutney. Enjoy! Wow vada looks fantastic.. if we make for normal days, can we add vegetables too ??? Thanks Ruchi for a lovely comment, Yes, that's an excellent idea. These moriyo vadas look so tempting. A great way to use up leftover moriyo and that too using a paniyaram pan. Yummilicious. I always make the vada or tikki with moriyo flour, never knew we could make with cooked moriyo too. Now I know what to do with leftover moriyo khichdi. Thanks for this recipe. Another great healthy dish for my appe pan!! Love this new dish....need to try this soon. Your clicks make it so tempting to give your dishes a definite try! Wow yummy..these look so good! Surely a treat for tastebuds.I am going to try this sometime.